Grocers and convenience stores are expanding their beverage aisles. With consumers becoming more and more health-conscious, it should come as no surprise that the sports drink industry has seen considerable growth. The U.S. sports drink market reached $852 million in 2017 is expected to grow to more than $1135 million by the end of 2023, reflecting a compound annual growth rate (CAGR) of 4.3% and far outpacing earlier predictions. Many major beverage manufacturers have acquired subsidiaries that specialize in the specialty drink market in anticipation of continued growth and to appeal to the nutritional needs of mainstream, physically active consumers. They understand this segment is no longer limited to just body builders. Offerings have expanded beyond traditional protein shakes and now include many clear beverages such as protein-rich teas, waters and even coffee in addition to other ready-to-drink (RTD) drink options. Use of protein-rich formulations has even expanded into infant nutrition and pet food. As the consumer demand for healthier, more dynamic sports beverages increases, the sports drink market will become more saturated with different beverage options. As a result, manufacturers will be forced to create new product formulations and innovations that meet their consumers’ specific and varying demands. One way companies are doing this is by fortifying their drinks with whey protein isolate (WPI), which can be used in traditional protein beverages in addition to clear formulations. Compared to other protein sources, whey protein contains the highest amount of the essential amino acids that are directly linked to muscle protein synthesis – a natural process that reduces muscle inflammation and builds muscle tissue after a tough workout. By adding a quality whey protein isolate to their beverage formulations, manufacturers can take these wonderful health benefits and incorporate them into their pre-existing sports drink applications. Which Whey Protein is Best for Nutritional Beverages? 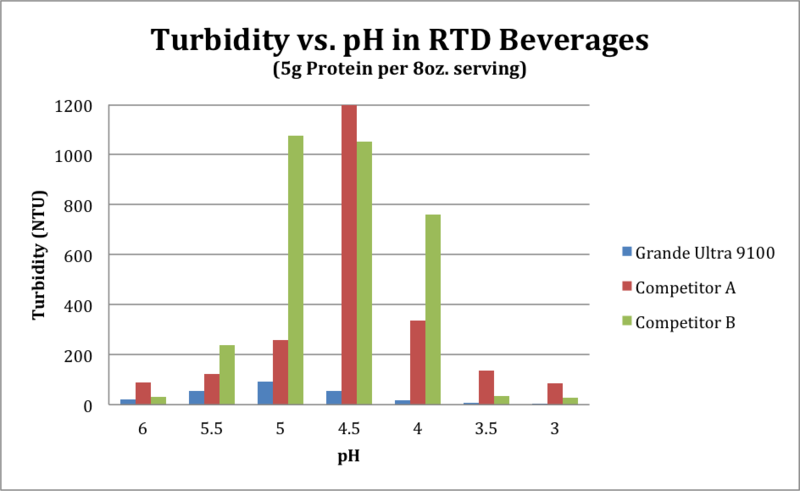 In a test to sample the beverage’s turbidity, samples made with Grande Ultra 9100 showed exponentially better clarity when measuring the “cloudiness” of its appearance. 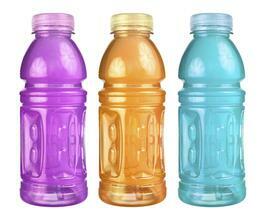 This makes it perfect for use in clear, RTD flavored sports drinks and even water. Consumers want to include more protein in their diets, but they also want clean labels and natural ingredients. Including GrandeWPI can accomplish these goals as well. Not only will it fortify your beverage with the numerous health benefits of whey protein – perfect for before, during, and after workouts – but its clean, neutral taste and superior clarity make it ideal to use in any beverage application. To learn more about how you can add a powerful protein boost to your sports drink, talk to one of our food scientists today!